Yu Shi joined New York University Stern School of Business as a Clinical Associate Professor of Management Communication in September 2014. Before joining NYU Stern, Professor Shi worked as a tenured Associate Professor of Communication at Penn State University, teaching Public Speaking and Global Cultures and Communication. 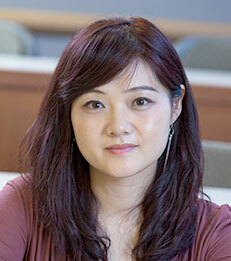 Her research focuses on intercultural communication, organizational communication, political and economic structures of global media, and transnational corporate strategies in China. She has published numerous articles in Communication, Culture, and Critique, Media, Culture and Society, Communication and Critical/Cultural Studies, International Journal of Communication, etc. Yu Shi is a proud mother of two beautiful girls, Chloe and Bella. Reading to them, taking them to movies and museums, and watching them playing together are the happiest moments of her life.